For communications services across Australia search Nbtrade.com.au Communications Ballina, Communications Lismore, Communications Murwillumbah, Communications Banora Point and more places Nationwide. When it comes to your communication needs, Nbtrade.com.au has many listings to suit the job. Scroll through the listings or refine your search by entering your postcode. 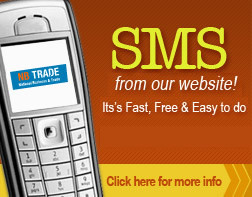 At Nbtrade.com.au we only provide you with the best and most apropiate business. Stop avoiding and get the job done with our communications directory providing listings for communications right across Australia. Hire or Leasing, service, Installation and repairs. Satellite TV Systems, TV Antenna Systems, Home Threatre Systems, Phone & Data Systems, CCTV Systems... what ever the job! When it comes to communication services look no further the Nbtrade.com.au communications directory.Email or SMS straight from our Communications directory. Specialising Northern Rivers and Gold Coast, find a business that's local to you! With Trusted and reliable listings you are provided with all contact details, general information and more.